Time for more bad news. Last February I wrote about the horrific environmental effects of an all-out nuclear war. As few as 200 warheads on each side could cause Nuclear Winter by blasting so much smoke and dust into the atmosphere that the sunlight reaching the Earth would only be as much as on a winter day. Photosynthesis would be impossible. All plants would die, followed by all animals (including humans) dying of starvation. But what would be the effects only a few nuclear bombs? A few back of the envelope calculations should enlighten us. North Korea is the country most likely to unleash this destruction. It has tested five bombs and appears to have fissile material to build 20 more warheads of about 10-30 kilotons, roughly the size of the bomb dropped on Hiroshima. One scenario might be for North Korea to launch five missiles against Seoul, the Demilitarized Zone (DMZ), Busan, Tokyo and Guam. If the United States were to retaliate on behalf of South Korea, it might launch five “tactical” nukes against Pyongyang, the base at Yongbyon, and the DMZ. Let us assume this destroys the Communist regime, thus ending the war. The loss of life would be tragic. The Hiroshima bomb killed 70,000 initially and another 70,000 from radiation. The Nagasaki bomb killed 40,000 initially and 25,000 later. The present population of Seoul is 10 million, 40 times as big as the Japanese cities in 1945. The population of Pyongyang is two and a half million. Tokyo has over 13 million. Thus, while many would die, most would survive. The environmental aftermath of a hypothetical Korean Nuclear War would be destruction in four or five cities and rural contamination near the DMZ and the military bases. We have two comparisons for the rural situation. The 1986 meltdown of the Chernobyl reactor in the Soviet Union left a zone of land too hot for habitation. The Soviets evacuated the area and excluded resettlement. Scientists have carefully studied the consequences. Immediately following the accident, radioactive iodine contaminated plants, cows and thus the milk. However, after a few years, this dissipated and fell to normal levels. Cesium 137 was a greater problem with a longer half-life: 30 years. Because people no longer lived in the exclusion zone, plants and animals like boars, wolves and elk have thrived, making it an Eden. The Soviets had a previous event with a similar outcome. In 1957, a nuclear explosion of still unknown causes spread radioactive materials near Kyshtym in the Ural Mountains. Ten thousand people were evacuated and not allowed to return. Today, radioactivity has returned to normal levels. Interestingly, Korea has its own area of exclusion: the Demilitarized Zone (DMZ). The DMZ was established in 1953 in the cease-fire at the end of the war. This extends back from the center line for 2000 meters on each side and goes 150 miles across the county. No one lives there. Soldiers occasionally patrol the zone on foot, but there is no habitation. Since 1953, the DMZ has grown up with forests and animals. Rare ones include lynxes, bears, water deer and red crowned cranes. Yet before rhapsodizing over the edens of Chernobyl, Kyshtym and the DMZ, we should remember the human cost of a Korean Nuclear War. Korea is not the only possible site for a limited nuclear exchange. Iran was spinning centrifuges to enrich nuclear fuel until bought off by the Joint Comprehensive Plan of Action of 2015. It’s presumed target was Israel, a tiny country. Jerusalem is off-limits to attack because of so many Muslim holy sites like the Dome of the Rock on the Temple Mount, making Tel Aviv just about the only place to aim. It is virtually certain that Israel has its own nuclear force, numbering 75 or more warheads in contrast to the handful Iran could produce quickly if it violated the Comprehensive Plan. The only consolation is that Iran has more deserts at which to aim. Pakistan tested its first nuke in 1998. Although it has not attacked with a nuke in the 18 years since, the government has suffered numerous coups d’etats. Furthermore, the evidence is strong that it sold the technical plans for the weapon to North Korea. 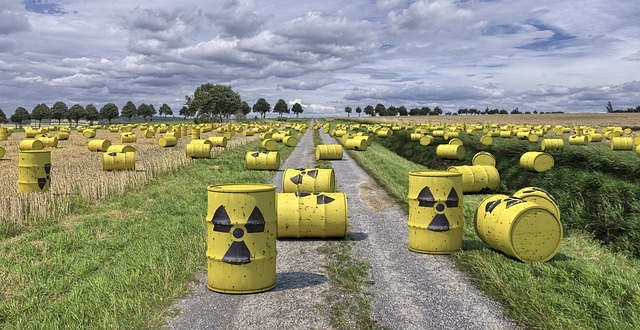 Possibly ISIS could get enough radioactive material to make a dirty bomb, that is, use conventional explosives to scatter the radiation around a city. However, this would be far less dangerous than a real nuclear weapon. In conclusion, the environmental dangers of exploding a few nuclear weapons pale in comparison to the immediate destruction and loss of life for hundreds of thousands. It would not cause a Nuclear Winter ending life on Earth. As with Chernobyl and Kyshtym, after 30 years the land would return to normal. This, however, is not a reason to ignore the risk of war. Author: Davis teaches public administration at the University of Toledo. He once served a tour of duty in Korea assigned to a 175-mm gun battery just south of the DMZ. Email him at [email protected].